Raising a child is full of surprises and is one of the most difficult jobs in the world. 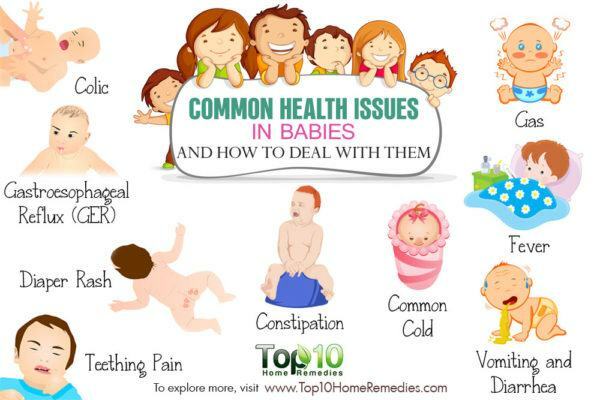 While parenthood is both wonderful and awful at the same time, all parents need to be prepared to handle some common health problems in babies. As each child is unique and their immune systems develop individually, the type and severity of health issues can vary from one child to another. Taking care of a sick child is hard, as children become needy and require comforting from the moment they become sick. Also, it can be emotionally challenging for parents, as no mother or father wants to see their baby sick and experiencing discomfort or pain. Here are the top 10 common health issues in babies and how to deal with them. If your newborn is suddenly having crying bouts that last for a few hours and occur at least 3 or 4 times a week, your baby is likely having colic pain. This is a very common health issue in newborn babies, and those who have it are often referred to as colicky. It usually starts in the second week of life and lasts until about 3 months of age. About 20 to 25 percent of babies suffer from colic, according to the American Pregnancy Association. The exact cause of colic is unknown, but many health experts believe it can be due to trapped air in the abdominal cavity that causes pain and discomfort. To soothe a colicky baby, a warm bath will help distract the baby and make them sleepy. Also, a warm compress applied on the baby’s tummy provides relief from the gas and has a soothing effect. To prevent colic, burp your baby frequently and hold your baby upright as often as possible. Also, breastfeeding mothers should keep a close eye on their diet. Another common problem in babies is gastroesophageal reflux (GER), also referred to as infant reflux. 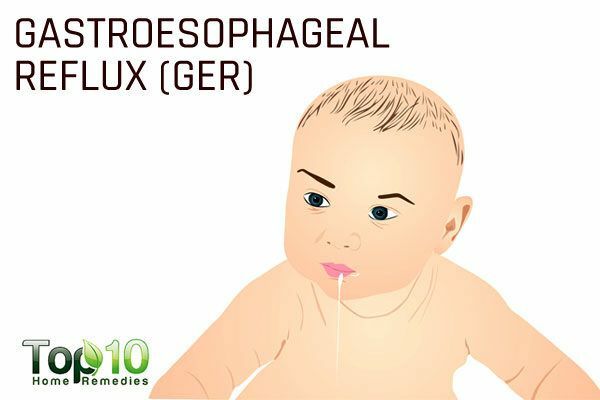 When suffering from GER, the stomach contents come back up into the esophagus, causing the baby to spit up liquid that is mostly made of saliva and stomach acid. About half of all infants spit up many times a day in the first 3 months of their lives, according to the U.S. National Institute of Diabetes and Digestive and Kidney Diseases. The problem resolves as the infant reaches 12 to 14 months of age. Some factors that can put your baby at a higher risk for GER include premature birth, lying flat most of the time and consuming only a liquid diet. To prevent infant reflux, keep the head of your baby’s crib, bassinet or bed elevated with the help of some towels. Also, try to make your baby sleep on their back or left side. While nursing, have your baby sit upright on your lap and avoid laying your baby down immediately after feeding. Regular tummy massages are also a good way to improve the functioning of digestive systems in babies. Gently massage your baby’s tummy using some oil in a clockwise direction for 3 to 4 minutes, twice daily. However, never massage your baby immediately after a feeding. Teething pain can turn even the most relaxed baby into a finicky baby. Babies experience teething problems as soon as their first set of teeth start emerging through the gums. Teething usually begins between 6 and 8 months of age, and it can take up to 2 years for all the teeth to come through. Apart from pain, babies may have other symptoms like excessive drooling, fussiness, a tendency to bite on things, sleeplessness, a low fever, decreased appetite and pulling their ears or rubbing their chin or cheeks. To soothe teething-related discomforts, the best option is to offer your baby a long piece of a chilled carrot, cucumber or celery. The cold temperature will help soothe the gum pain and the juice will make the baby full. Another option is to gently massage the sore gums to reduce pain and calm a fussy baby. 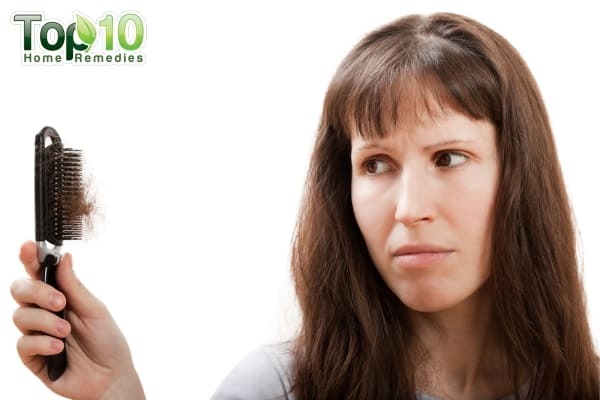 Diaper rash is another common problem that parents have to deal with. 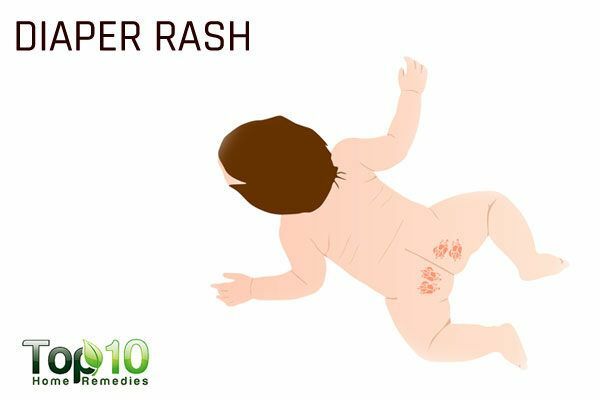 Diaper rash is characterized by inflamed skin and a rash on the upper thighs, buttocks and genital area. The main cause is prolonged exposure to a dirty diaper, which can be either moist with urine or soiled with stool. This type of rash can cause a lot of discomfort and if not treated timely, it can lead to a yeast or bacterial infection. 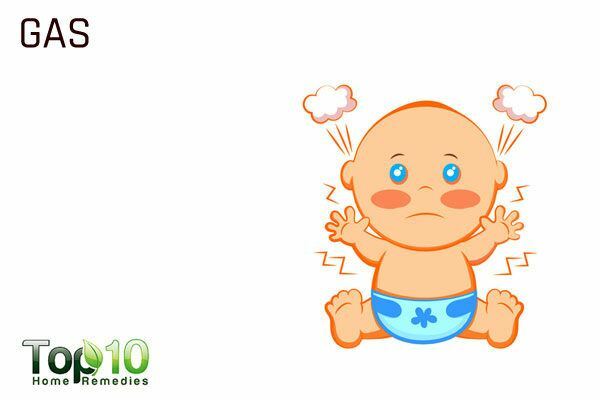 To ease pain and inflammation due to diaper rash, coconut oil is very effective. Gently apply some coconut oil on the diaper area several times a day. 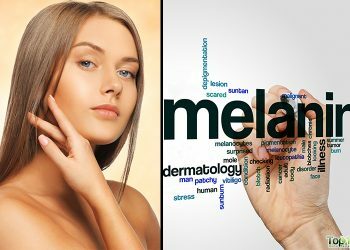 It will help keep the area moisturized and prevent microbes from causing an infection. Another good home remedy is vinegar. Add 1 teaspoon of white vinegar to 1 cup of water. Use this solution to wipe your baby’s bottom when changing their diaper. If you use reusable or cloth diapers, be sure to clean them well and rinse them in a solution made of ½ cup of vinegar added to half a bucket of water. As babies lie down most of the time, they often suffer from abdominal gas. When gas does not pass easily, it causes pain and intense crying. Toddlers can also develop gas due to use of antibiotic medications, lactose intolerance, eating gas-forming foods, not chewing their food thoroughly, swallowing large amounts of air and not drinking enough water. For treating any kind of gas problem in babies, asafetida is very effective due to its antispasmodic and antiflatulent properties. Dissolve a pinch of asafetida powder in 1 tablespoon of warm water. Apply it around your baby’s navel in a clockwise motion. Reapply as needed. Another option is to apply a warm compress on your child’s tummy to help expel the trapped gas and relax the baby. 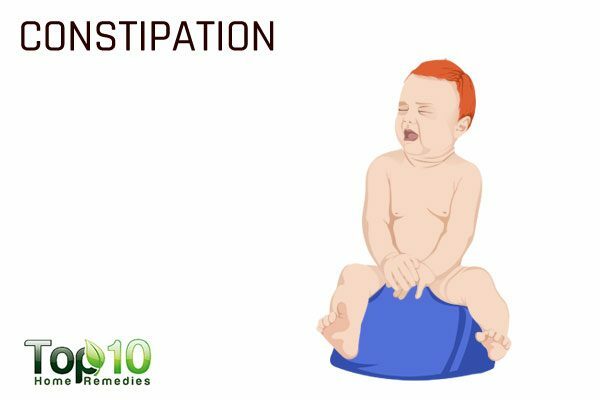 Not just adults, even small babies suffer from constipation. A baby is likely constipated if their bowel movements are less frequent than usual. Also, they may have to strain more than usual to pass stools. Other signs include blood in the stools, a firm tummy and refusing to eat. 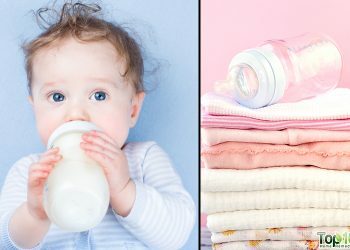 Constipation in babies can occur due to the introduction of new solid food, ingredients used in baby formula, lack of activity and dehydration. When your baby suffers from constipation, the best thing you can do is feed them a little yogurt containing live cultures from time to time. Such probiotic products ensure healthy digestion. Also, do not forget to increase their fluid intake for proper hydration, which is essential for regular bowel movements. For babies, water and milk are the best fluids. 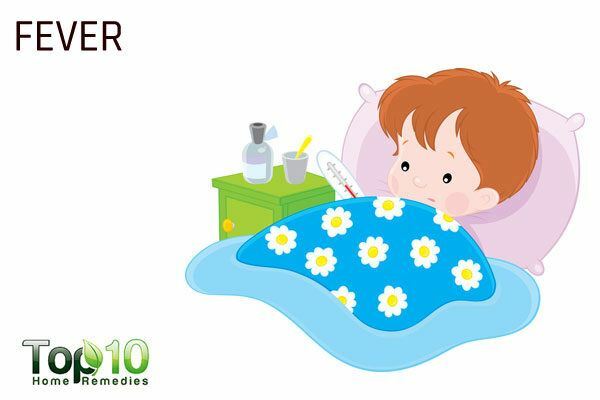 A fever is a common sign of illness and a normal response of a child’s immune system to a virus or bacterial infection. In a healthy baby, a fever can last for about 3 to 5 days under normal circumstances. The most common cause of a fever in babies is a viral infection. Other causes include teething, a change in environment and so on. A mild fever is not a matter of concern, but if the temperature is consistently high, see a doctor immediately. As soon as your baby develops a fever, give them a sponge bath. Also, put a cool, wet washcloth on your baby’s forehead from time to time to help the temperature come down faster. For nursing mothers, breastfeeding your baby will help a lot. Breast milk is full of nutrients that strengthen a baby’s weak immune system. The common cold is the most common cause of illness in children. In fact, within the first year of life, most babies have up to seven colds. It is a type of viral infection that starts with nasal congestion and a runny nose. 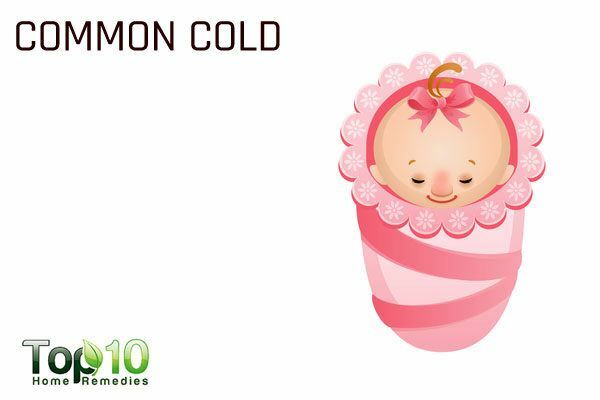 Other signs and symptoms of a common cold in babies are a mild fever, sneezing, coughing, loss of appetite, irritability, difficulty sleeping and refusing to nurse or take a bottle due to nasal congestion. Babies are very susceptible to the common cold due to their weak immunity. The problem is common in babies who are often around other older children or spend time in child care centers. To reduce congestion and ease a sore throat, offer your baby lots of fluids. You can also use saline drops or a spray to moisturize your child’s nasal passageways. A cool-mist humidifier is also beneficial, as it will help your baby breathe more comfortably. Vomiting and diarrhea are common in young babies. Also known as a stomach or tummy bug, the main cause of this problem is gastroenteritis. 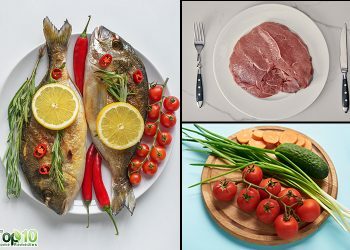 Gastroenteritis is an infection of the gut usually caused by a virus or bacteria, which also causes diarrhea. Other causes include food allergies or milk intolerance, gastroesophageal reflux, swallowing too much milk or liquid because the hole in the bottle teat is too big or accidentally swallowing something poisonous. It is important to treat vomiting and diarrhea quickly or your baby can become dehydrated, which can be dangerous, particularly in very young infants. In most cases, you can treat your child’s vomiting and diarrhea safely at home. Most importantly, make your baby drink fluids to prevent dehydration. You should carry on breastfeeding or giving them milk feeds. You can also give your baby an oral rehydration solution, but only after consulting your doctor. For babies who are a little older, you can feed them plain yogurt or bananas to help treat diarrhea. Also, take extra hygiene measures while your child is ill to help stop diarrhea and prevent the infection from spreading. 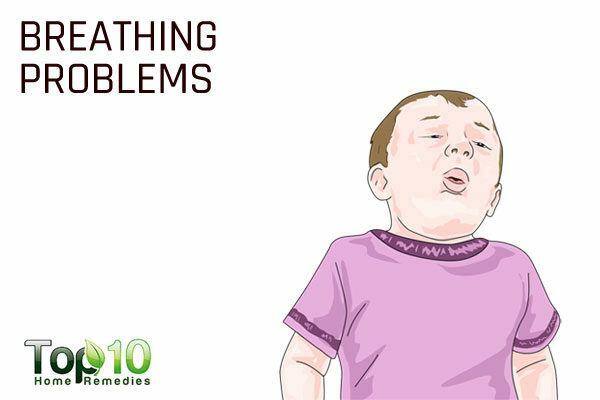 Occasional breathing problems in babies are also common. Breathing difficulty in babies can occur due to the common cold, asthma or respiratory infections like croup, bronchitis and pneumonia. Common symptoms related to breathing difficulties or the underlying cause include a hoarse voice, rapid breathing, wheezing, mild coughing, a mild fever, and nasal and chest congestion. To relieve congestion and make breathing a bit easier, the first thing to do is sit with your baby in your bathroom with steam for 10 minutes. You can turn your bathroom into a steam room by running a hot shower and keeping the door shut. To ease breathing, you can also use a humidifier to add moisture to the air. Also, give your baby plenty of fluids to prevent dehydration. Note: Never ignore very sudden breathing difficulties in babies, as it can occur due to serious health issues, such as epiglottitis and choking.